Net internal area of 320.5 sq m / 3,450 sq ft. 5 visitor parking spaces plus rear yard and staff parking. 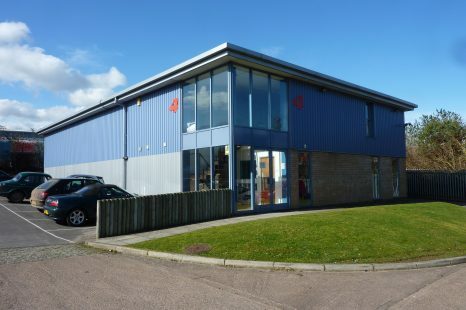 Modern high-tech, self-contained business unit to lease in The Omega Centre along Bittern Road on Sowton Industrial Estate. Located just off of junctions 29 and 30 of the M5 motorway, Exeter City Centre and all the main trunk roads are easily accessed from here. This unit was recently constructed to an attractive modern design. The Omega Centre comprises high-tech business units with private parking forecourt.